Everyone welcome to check in. spoke at the "Youth in Amateur Radio" forum at the Dayton HamVention. Crystal's topic was "Promoting Ham Radio Through the Local Clubs." Howard Dybedock AK9F(sk) and Jerry Rosalius WB9Z. the transmitter at the St Anne (Kankakee) sight. DX Web-Site Links, Clusters etc. to the KARS web site! KARS is an amateur radio Club, a service organization located in Kankakee, Illinois. KARS is proud to affiliate itself with the American Radio Relay League - ARRL. ARRL is the National Organization for Ham Radio and our voice (lobby) in Washington. Illinois is in the ARRL Central Division along with Indiana and Wisconsin. are our representatives in ARRL policy making. represents us in the ARRL Field Organization. 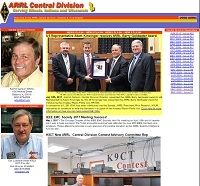 Visit the ARRL Central Division Web Site for Central Division News and Views. 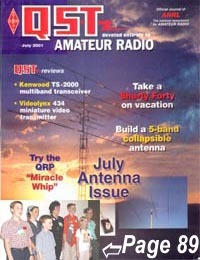 KARS is devoted to the promotion of amateur or "ham" radio as it is known by some. 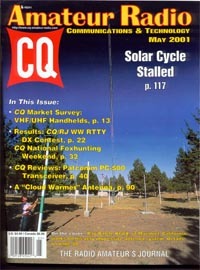 on the ARRL Web: at this link, Click Here. represented here within the KARS Organization. KARS Club meetings are held the first Tuesday of every month. Non-members are always encouraged to attend. Our banner newsletter "KARS KEY KLICKS"
is published monthly by the dedicated team of K9QT, K9NR and N9IO. Current and past issues are listed at the top of this page in Adobe pdf format. Training and Testing help available. Good monthly programs and other activities. Potential members are encouraged to apply. The Kankakee Area Radio Society Click HERE and Join KARS Today! Please add this web-site to your BOOKMARKS for future reference NOW! 73'Come Back Often For Updates!